The gray grenache, in Catalan “lledoner roig”, is an indigenous variety of the Empordà that is cultivated in a few tens of hectares. It is a plant very much adapted to the climatic character of this corner, often flogged by the northern wind, the Levantine thunderstorms loaded with salt and the droughts loaded with sun. 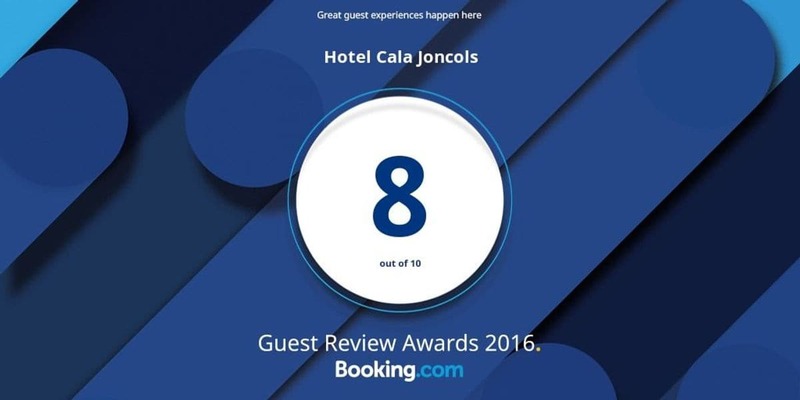 Three years ago, when we celebrated sixty years of history of the hotel, we decided to do something to leave a legacy to our descendants and the idea was to revitalize the eastern slope of the mount that shapes the Cala Jóncols, giving birht to a vineyard. It was a dream that we have been pursuing from previous generations. 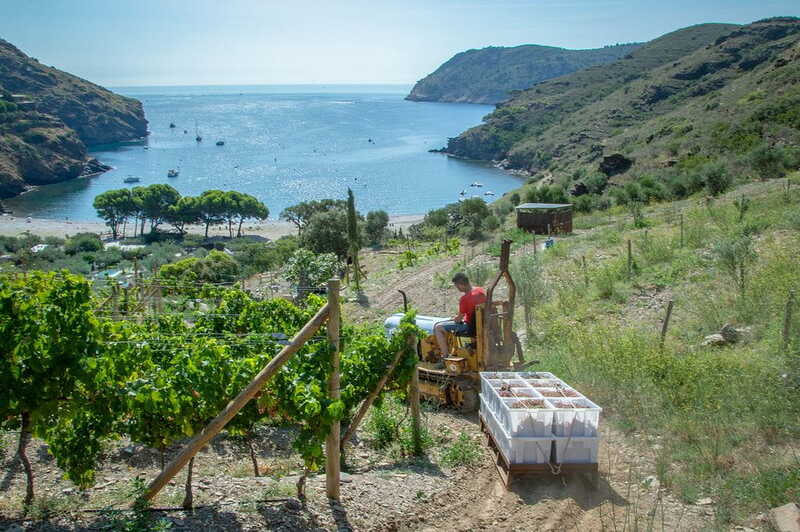 The effort that we did to give form to the vineyard in the slope that you see behind the hotel is difficult to explain: there is no space neither for tractors nor machinery, we had to work the ground manually: as our ancestors might do! From the beginning we wanted to work the vineyard with biodynamic criteria and cultivate a genuine variety. This year we feel again the satisfaction of collecting the second harvest of this big effort. 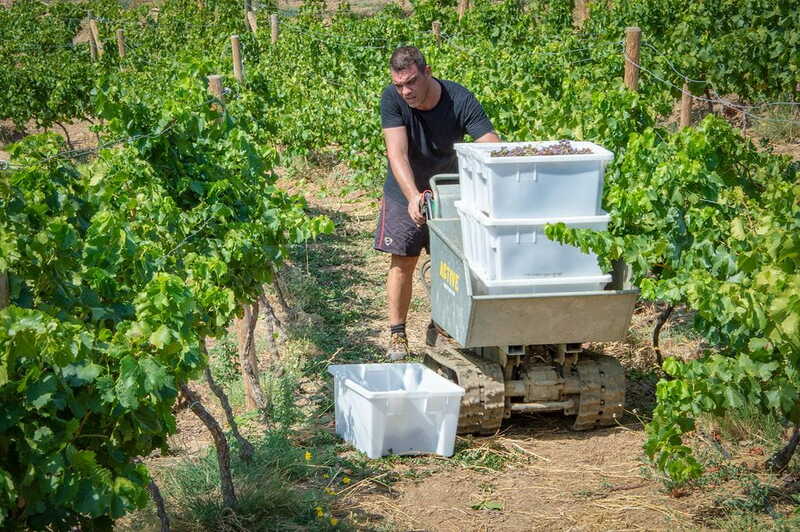 The grape harvest 2018 has been successful! We have manually collected 1086 kg of grapes in 12 kg boxes. These grapes ferment already in clay amphorae where they will coexist with its indigenous yeasts during 8 months. We will do a limited production of 1800 bottles of white Vinya Jóncols and a part of them will be immersed in Roses Bay in its individual little amphora, in order to age six months under the sea. But this is a story for another chapter. Now we must cultivate what perhaps is even more difficult: the patience!